Team Mascots are there to raise spirits. It’s literally their only job. This is why they are usually designed to be fun, friendly, and just generally not terrifying. What happens when you embrace the horror though? Let us here at McCluskey Automotive, your home for Used Vehicles in Ohio show you one mascot gone wrong. We here at Buy Here Pay Here in Cincinnati would like to direct your attention to the right. You see that scary living flame man? 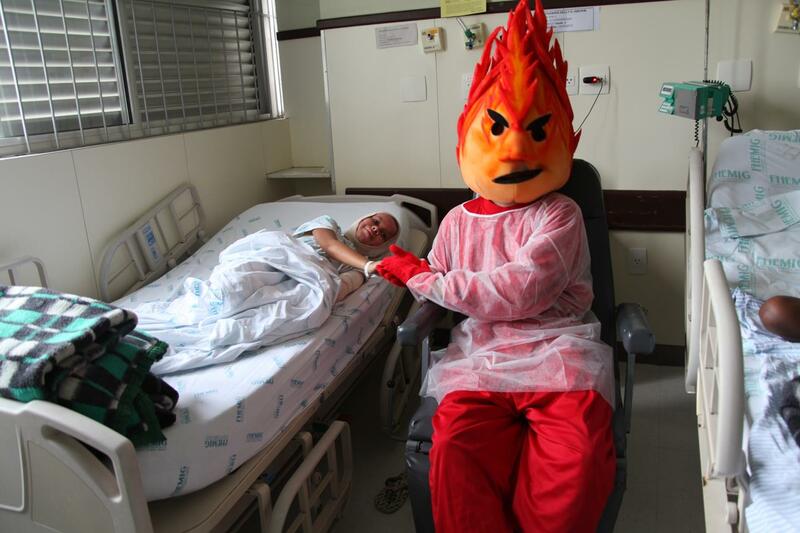 That’s “Flamy”, the mascot for the Fundacao Hospital in Minas Gerais, Brazil. He frequents that hospital and other facilities nearby to make children with burns feel better. That’s right, this costume is supposed to make it EASIER on the burned. We aren’t really sure what the thought process was behind this guy. Maybe he’s there so that kids who AREN’T burned will be too afraid of fire to ever get burned in the future? Maybe he’s just serving as a reminder to the burned children how bad playing with fire can be? It’s honestly a complete mystery, but he’s sure to be the subject of more than a few post-burn nightmares. If you were in charge of this hospital and program, what would your perfect mascot look like? Maybe a living water drop or some sentient aloe vera? Let us know!